Take your first step to becoming a professional short fiction writer—Buy this book! 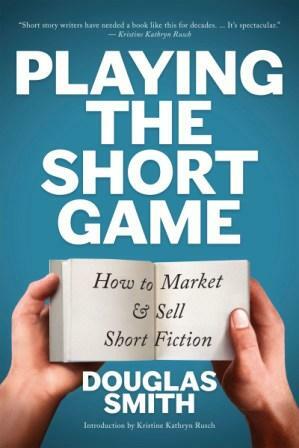 In an engaging and conversational style, award-winning author Douglas Smith teaches you how to market and sell short stories—and much, much more. Even experienced writers will find value here as Smith takes you from your first sale to using your stories to build a writing career. "We short story writers have needed a book like this for decades. ... It’s spectacular." The Fundamentals: The different types of writers. The benefits of short fiction. Rights and licensing. Selling Your Stories: Knowing when it's ready. Choosing markets. Submitting stories. Avoiding mistakes. How editors select stories. Dealing with rejections. When to give up on a story. After a Sale: Contracts. Working with editors. What your first sale means. Dealing with reviews. A Writer's Magic Bakery: Selling reprints. Foreign markets. Audio markets. Selling a collection. The indie option. Becoming Established: Leveraging your stories. Discoverability and promotion. Career progression in short fiction. With an introduction by multi-award winning writer and editor, Kristine Kathryn Rusch. "Douglas Smith is, quite simply, the finest short-story writer Canada has ever produced in the science fiction and fantasy genres."